Tamil New year falls on 13 th or 14th of April every year. Here are the list of recipes we generally make on Tamil Varuda pirappu or Vishu. Click on the image to get Tamil New year recipes | Vishu recipes. 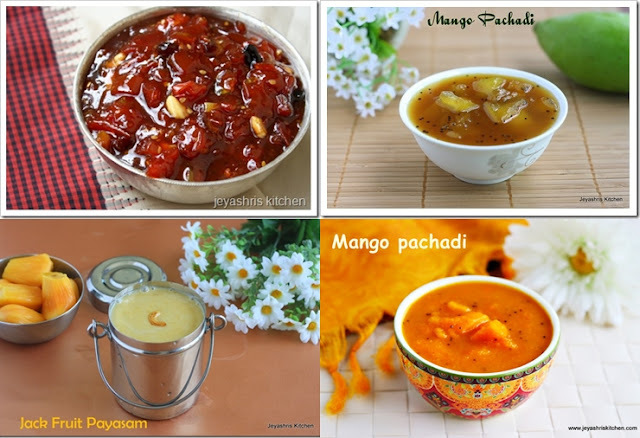 You can follow the same recipes for Ugadi too | telugu new year. WISH ALL MY READERS A VERY HAPPY TAMIL NEW YEAR. I have given a list of recipes under different category. Plan your Tamil New year menu as per your family tradition and celebrate the New year. Traditionally we make Neem flower rasam, mango pachadi on this occasion. It is a must in all the homes. These two dishes has all the 6 tastes of food. We do not add onion or garlic in the menu on festival days as we offer neivedyam for God. 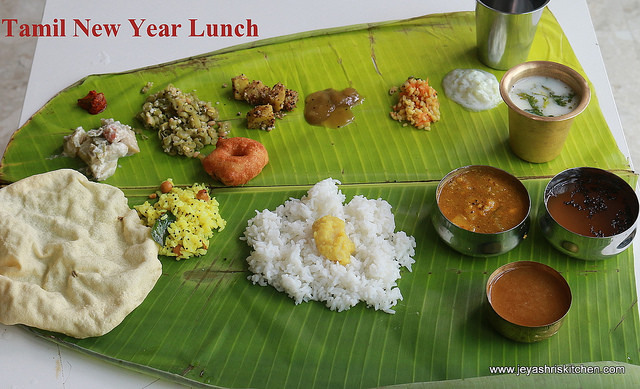 Check out my Tamil new year lunch menu. Same to you too, Jayashri! parrupu payasam is one of my favorite !! both r my favorite...miss my home this year for Tamil new year. Tongue tickling recipes!!! Happu Tamil New year!! Same to you too dear! Both the recipes look great.. Happy Tamil New Year jeyashree! Both the dishes looks delicious! Happy Tamil new year to you and your family.. Both the dishes looks delicious.. Happy Tamil new year dear !!! Dishes looks so delicious !! Nice treat for the new year jeyashri! Happy New Year to you and family too. Happy new year :) It's new year for me too! I say me because I am a bengali married to a north indian ! ooh.. paruppu payasam is my favorite.. both look perfect. New to ur space n happy to follow u for more wonderful recipes..
Do visit me when u get time dear . Happy Tamizh New year, to you and your family. Paruppu payasam looks incredible...reminds me of my home. New year wishes to u too dear!!! yummy yumm dishes!! New year wishes to u :) Yummy and delicious dishes..